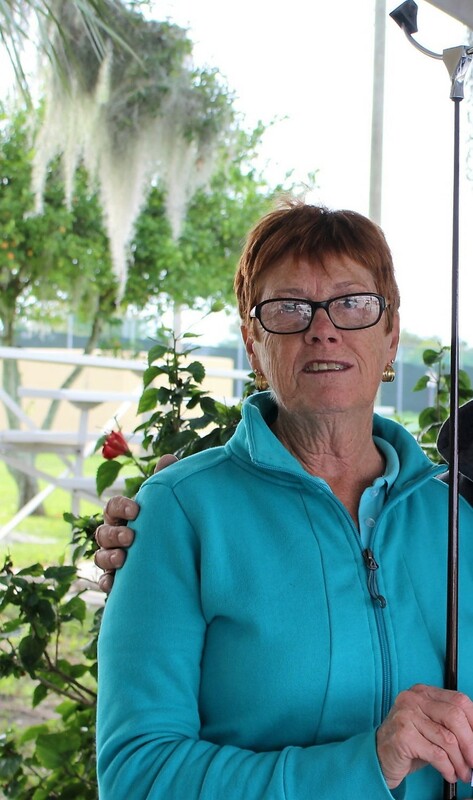 ← Glenna Earle Gives Us an Outstanding Report on P14A Hosted by Sebring. CD of the FSA Hosts a District Am. Modified Tournament!! A MOST SUCCESSFUL District Amateur Tournament!! Joanne Clark Speaks: This years tournament (CDA 11) was once again a great success. We had 64 amateur who registered. Of course the weather does make a huge difference with the attendance. 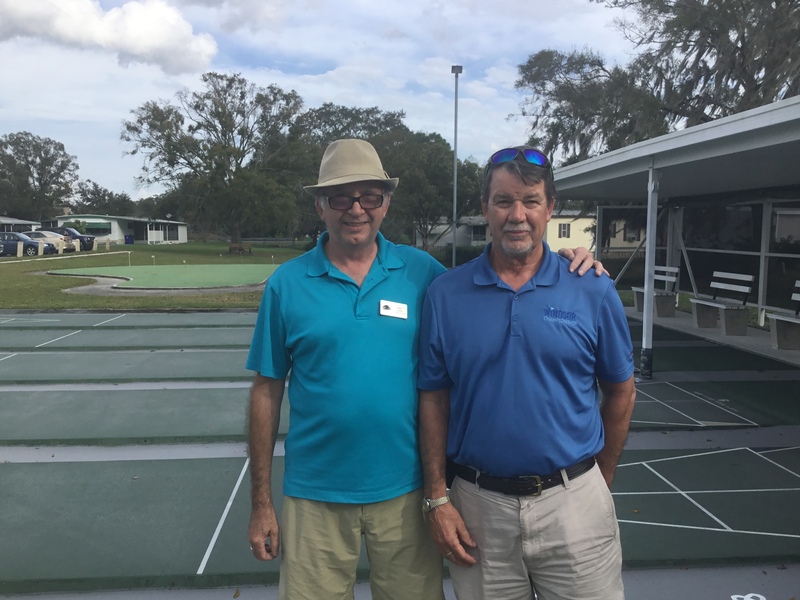 Woodbrook shuffleboard is active and we had 19 who participated some of which are new shufflers. Stan Speaks: First let me say I wish to thank Joanne Clark for sending along this fine report. 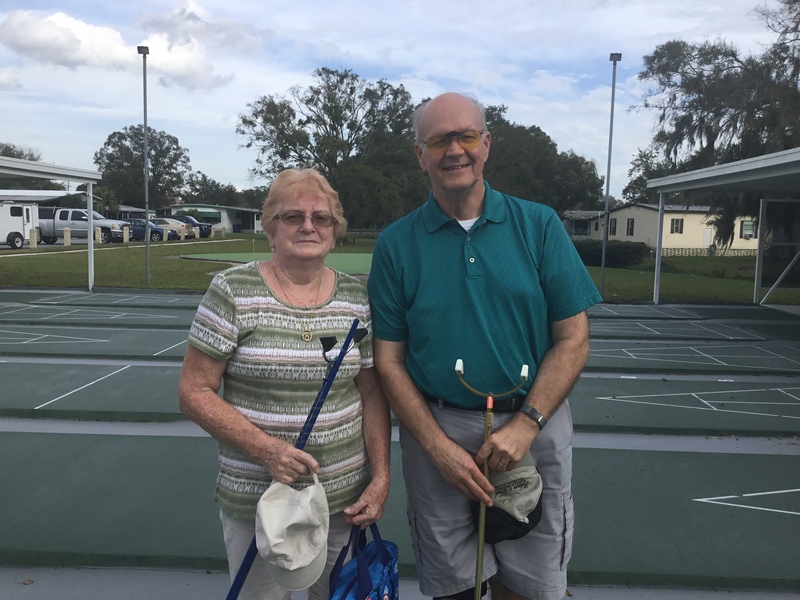 I especially want to thank Joanne for the good work she has done for Shuffleboard in Woodbrook!!! I am so encouraged that the Modified Tournament has carried on, continuing to attract good numbers!! When you click on the pdf file, (Woodbrook of the central district hosts a tournament with a difference) you will gain a better appreciation of what is “going on” in this event. woodbrook of the central district hosts a tournament with a Hats off to Gary Pipher who was also instrumental in launching this event!!!! Joanne Speaks: Competition was tough but 4 Woodbrook shufflers advanced to the finals. Our very generous prize sponsors, Comfort Covers and Woodbrook Estates provide the winners with extra cash. 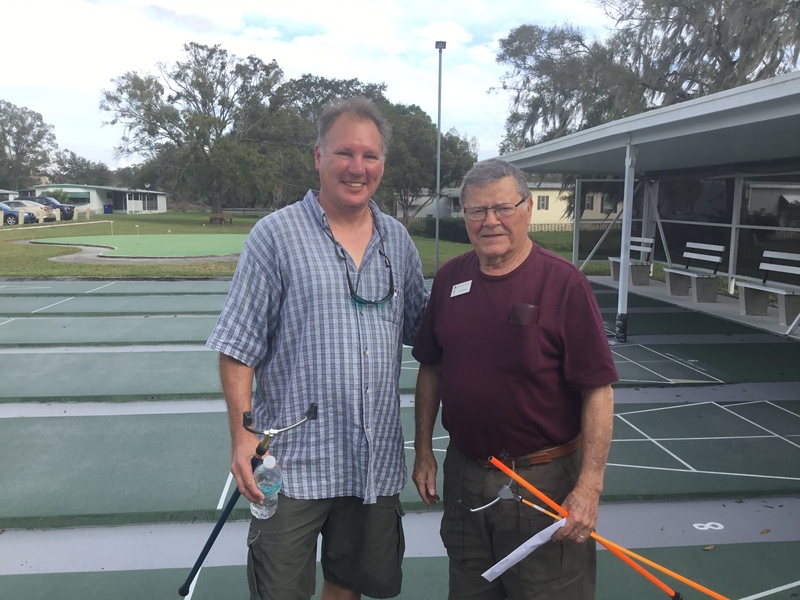 The parks represented were, Georgetown , Woodbrook, Forest Lakes E, Zephyrhills, Avon Park, Santana, Woodalls, Lakeland, Winter Haven. Those who did not make it to the finals are also winners as they received a free hot lunch, thanks to our sponsor, Newby Management, who made many friends. Each year that I have been involved with this tournament has been a treat. We have played in the heat, in misty rain, and this year in very cold conditions. 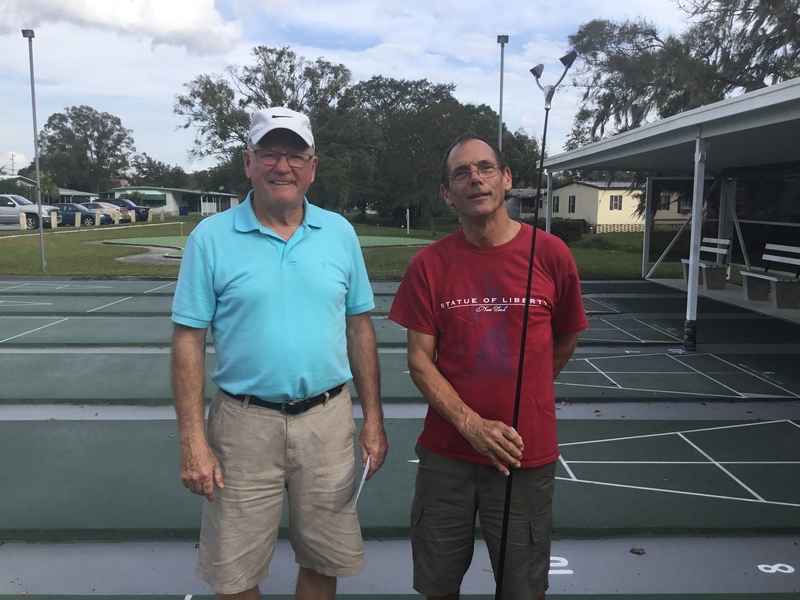 The number of players varies a little with the weather but the good nature of those that come and play never does…they are always good natured, kind and positive. The park puts forth a marvellous effort. I always have a wonderful group of helpers, the kitchen crew are always first rate, the park management are supportive and the players are up for a good time. The games format eliminates waiting around and keeps players engaged. I have yet to have anyone turn down the invitation to return for the second day. The players resolve most infractions themselves to everyone’s immediate satisfaction…amazing. 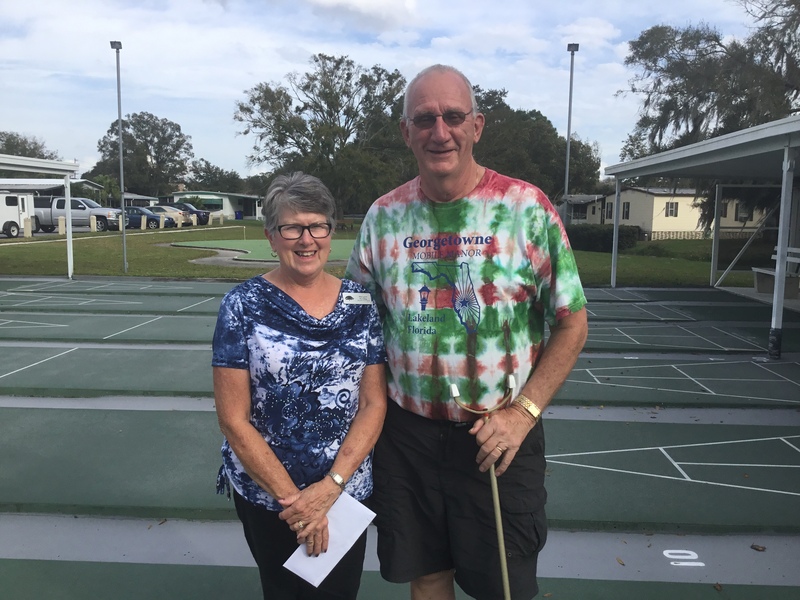 I can understand that the modified format is not everyone’s ‘cup of tea’ but for the mainly park players who attend it is a great introduction to competitive shuffleboard. For example the day one scores are outrageously high…hardly a defensive play in sight, but come day two, the atmosphere changes. Now bragging rights are in play and the competitive spirit comes forth. Even the eldest players want to win! For all the help provided and the great reception I always get, I thank each and every person who plays or participates in any way. I also know that every park that wants to host a tournament needs a Linda Read. When you find her or him treat that person well, just like Woodbrook does. I’m sure the flowers helped keep the energiser bunny’s batteries charged! David Earle, TD for the 2019 Event. 2 Responses to CD of the FSA Hosts a District Am. Modified Tournament!! A MOST SUCCESSFUL District Amateur Tournament!! So nice to see this tournament at Woodbrook Estates continue and be successful. 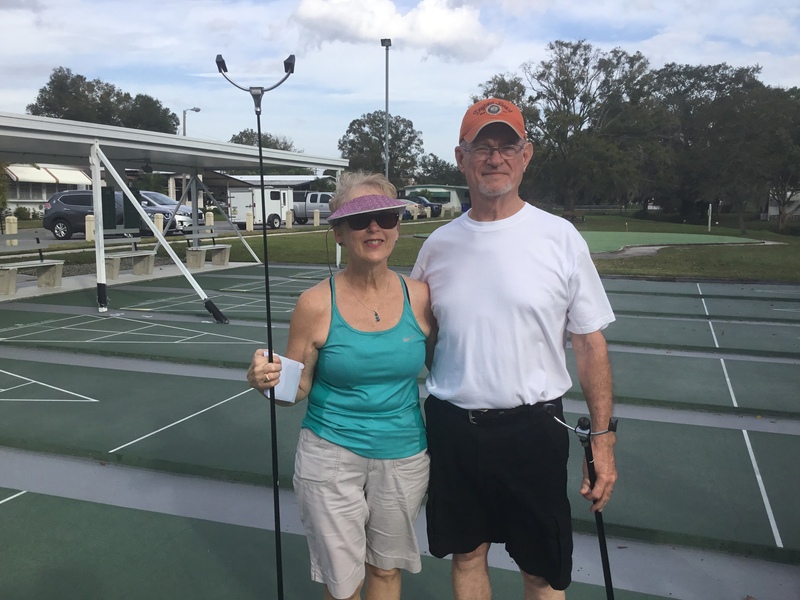 Thanks to Joanne and George for keeping the pace and a big thank you to Newby Management Woodbrook Estates (park managers) for their generous support. David Earl must be very proud of himself for the way he has conducted this modified tournament each year since it began . 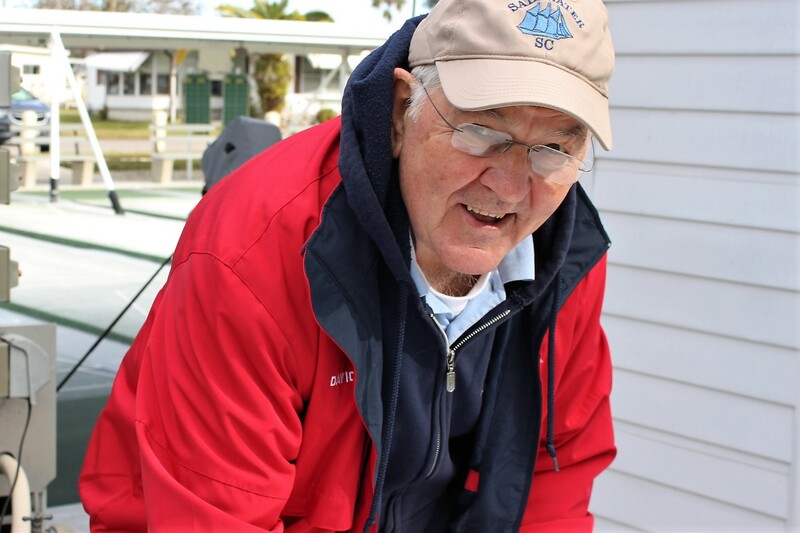 He is a great ambassador for the game of Shuffleboard “Thanks Earl” The sport needs more men like you to be involved in the promotion and management and not just playing the game. Congratulations to all the winners and players who took part in the WBE Tournament.